Very vibrant and colorful! 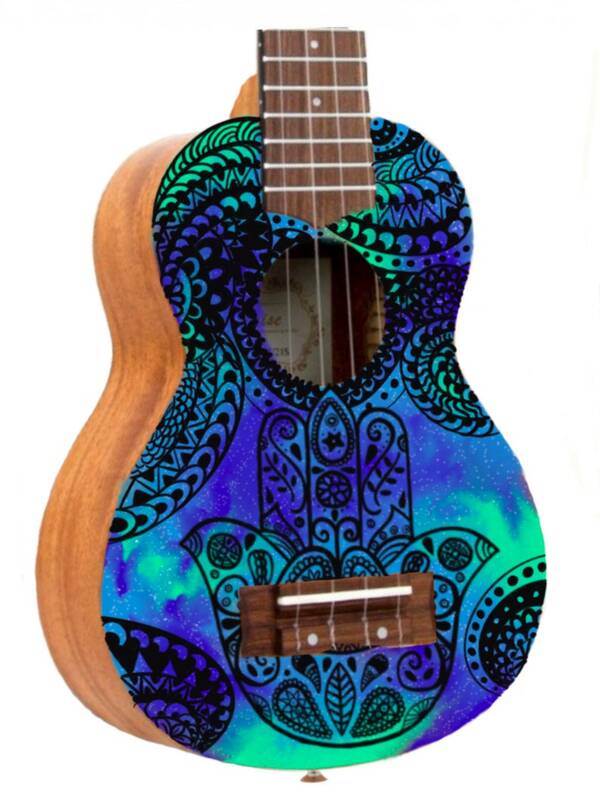 Green and blue galaxy hand painted on the front with a black hamsa and pattern. 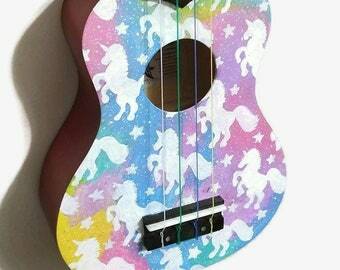 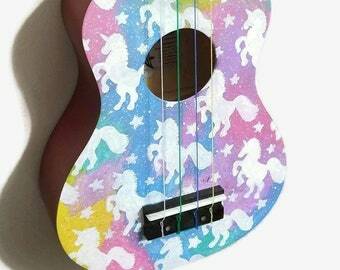 This ukulele is made to order, each one is unique in its own way.